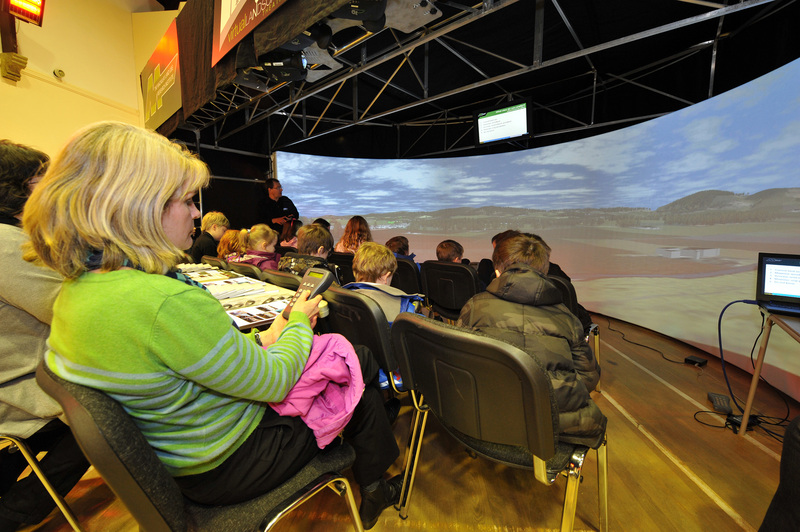 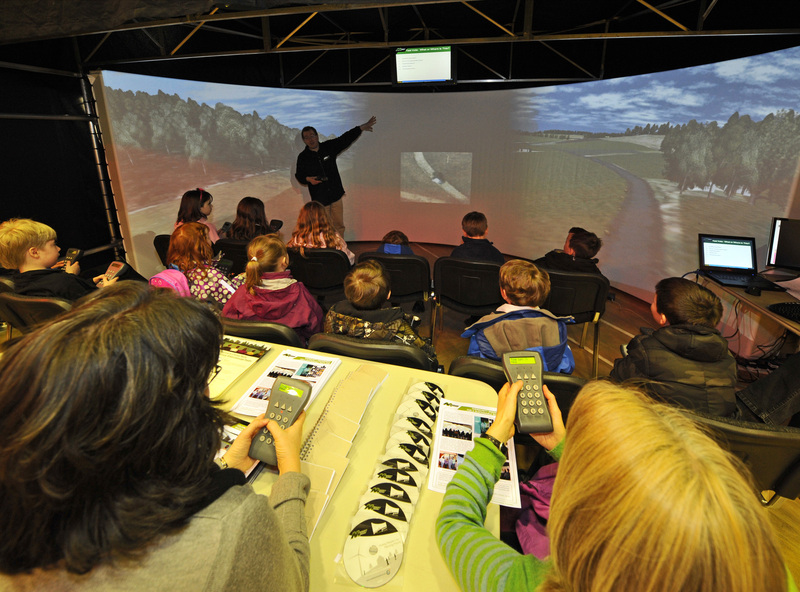 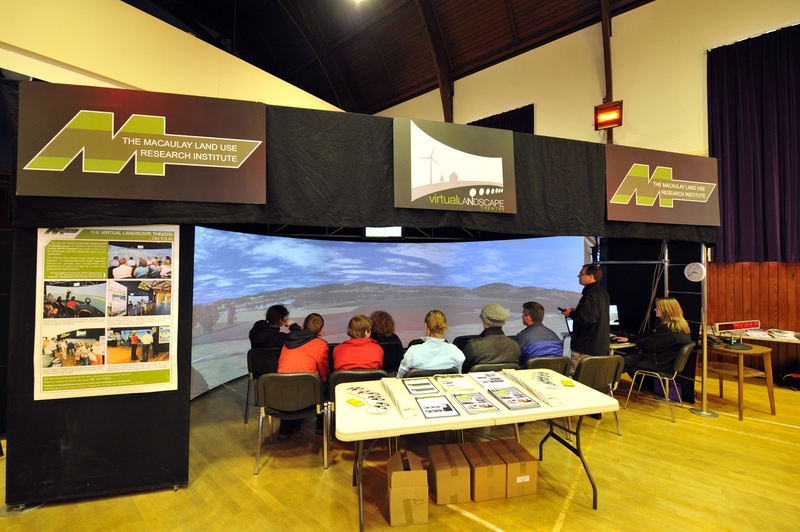 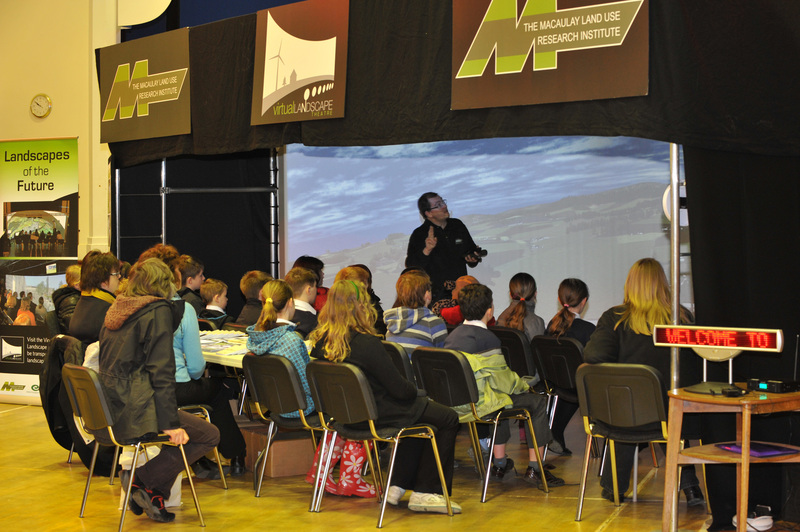 Residents of Ballater, Aberdeenshire, and the surrounding area develop scenarios of future land uses, known as 'local stewardship', and vote on options by modifying a virtual reality model of the area in the Virtual Landscape Theatre (Ballater, Aberdeenshire, 2011). 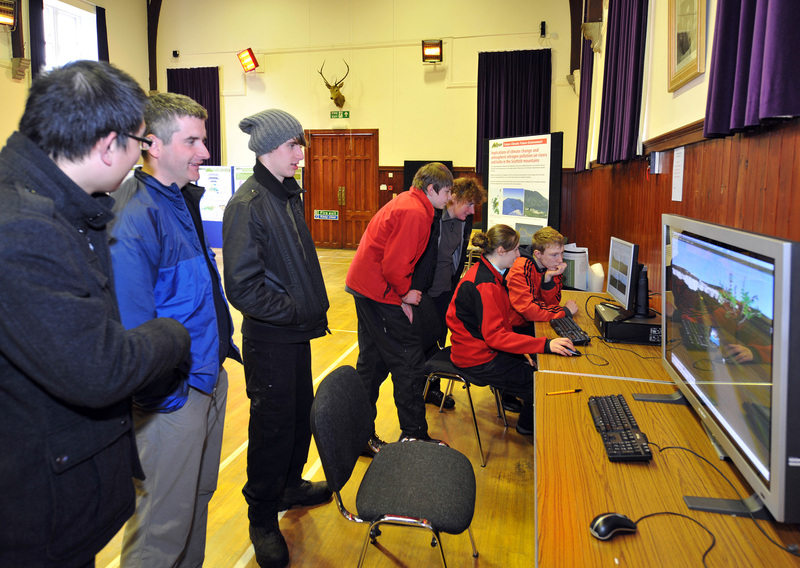 Acknowledgements: Thanks to the residents of Ballater and visitors to the area who participated in the VLT@Ballater Week, and the youth group coordinators who organised visits. 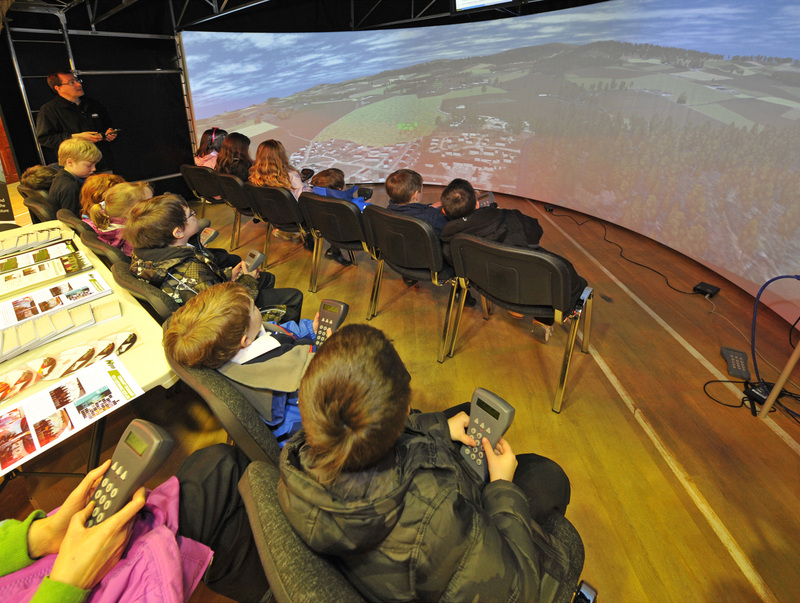 This work was part funded by the Rural & Environment Science & Analytical Services Division of the Scottish Government, Optimizing Land Use.